This little scalloped edge is a simple classic, excellent for a beginner’s pattern. 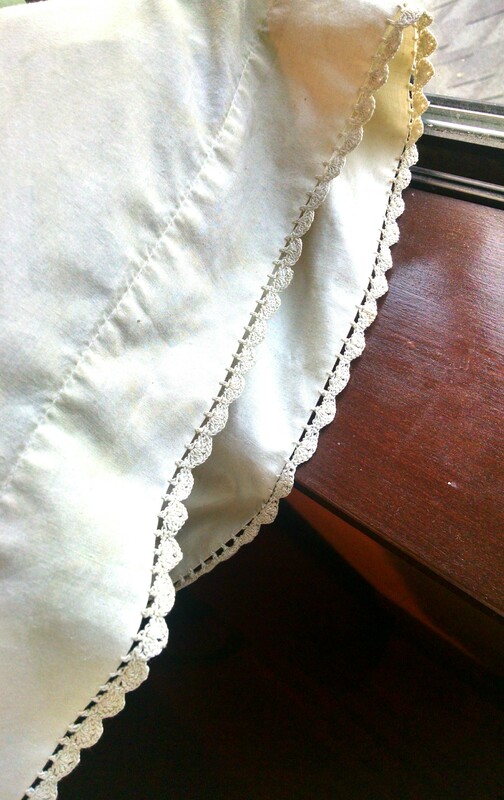 First row, chain stitch a length a few inches longer than the pillowcase you want to edge. Second row, skip 7 chains of the row you just finished. 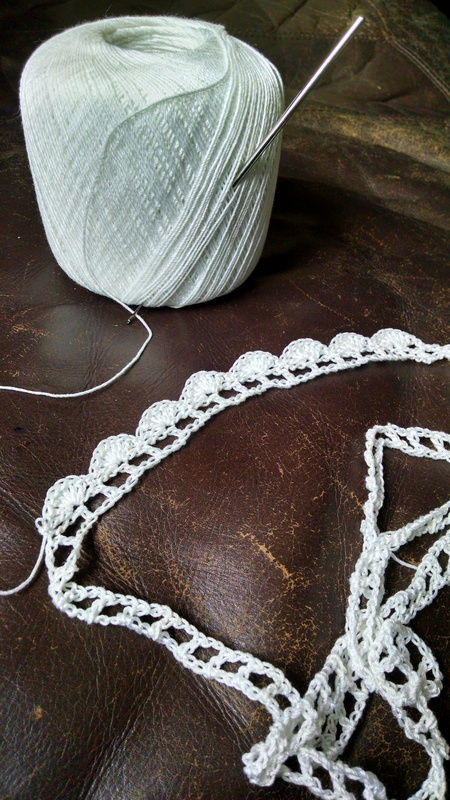 Double crochet in the next chain. 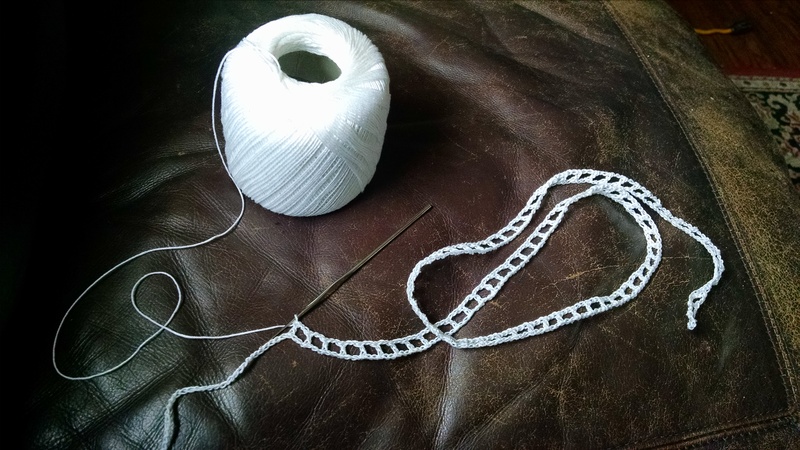 Chain two, skip two chains of the foundation row, double crochet. Repeat across to the end. Third row, chain one, turn. Seven double crochets in the next double crochet from the previous row. Single crochet in the next double crochet, scallop made. Repeat to the end. Alternative pointed scallop for third row– three double crochets in the next double crochet from the previous row, chain two, three more double crochets in the same stitch. Single crochet in the next double crochet, scallop made. Repeat to the end.